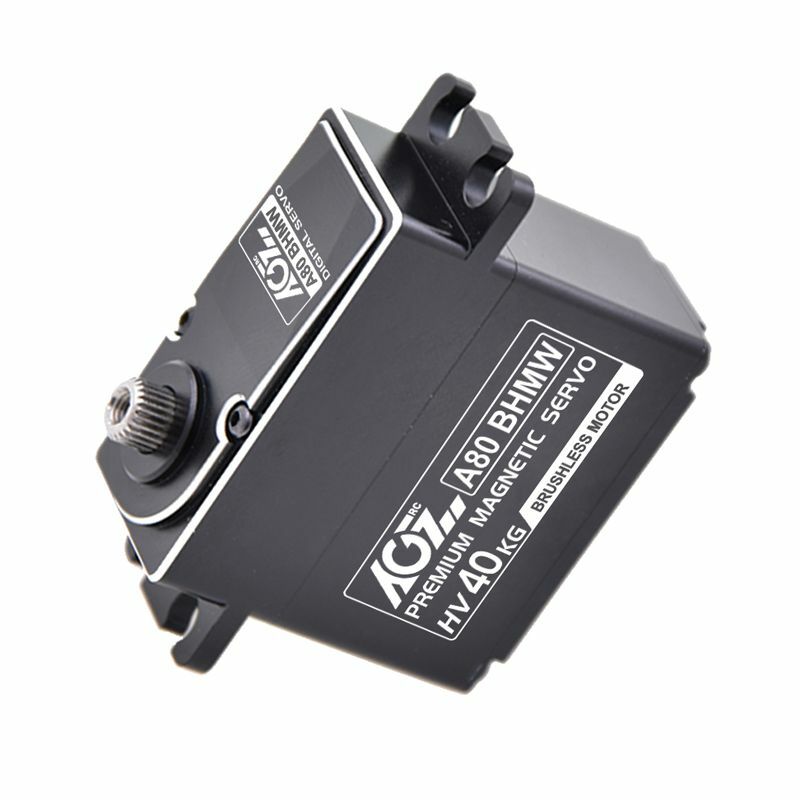 If you are looking for a high quality and reliable servo but good price, you got the right one here. 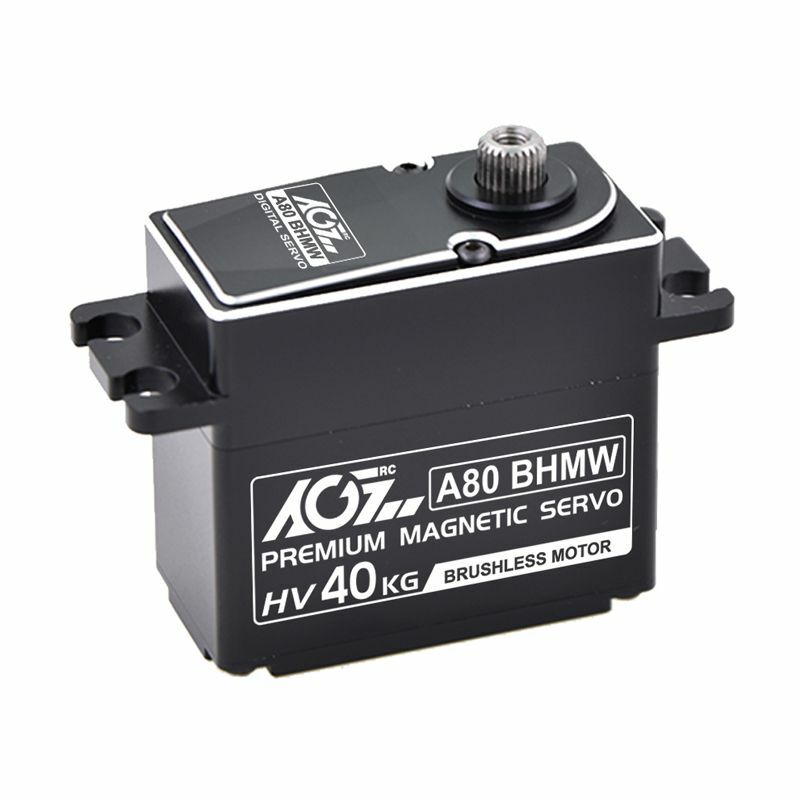 AGFrc A80BHMW super torque waterproof steel gear digital servo will be the great option which support to use with high voltage and damp situation. 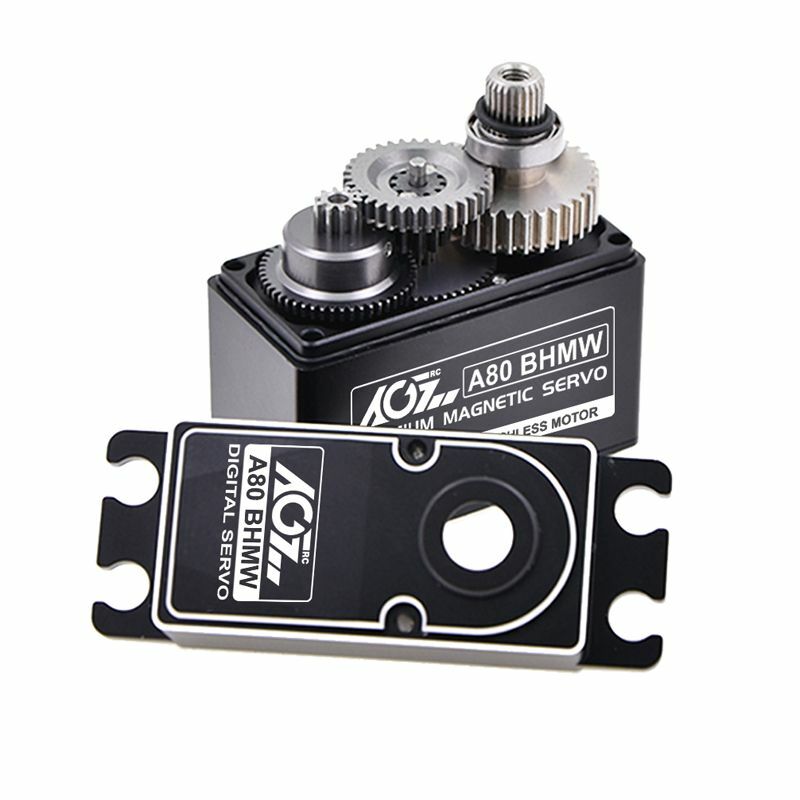 A80BHMW servo make almost 500oz-in torque with speed 0.11sec at 7.4V. 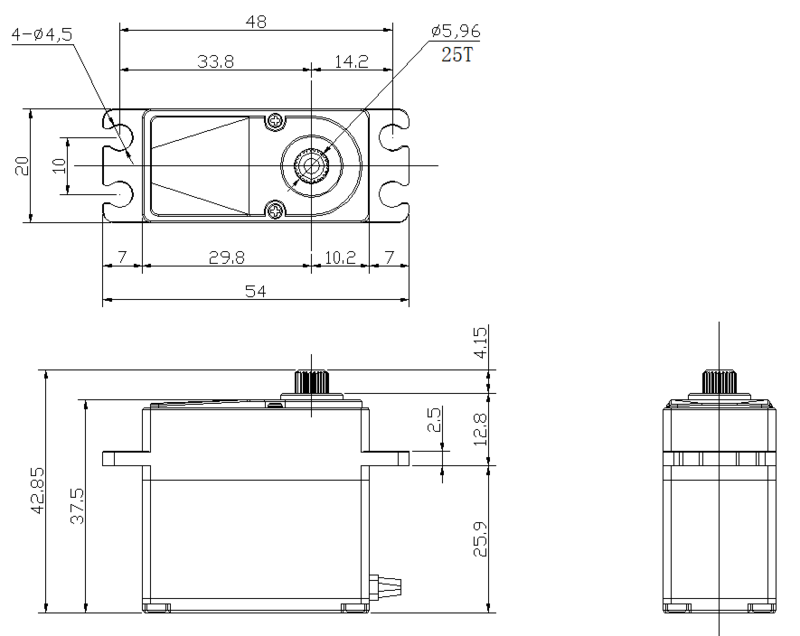 While using voltage up to 8.4V, it can deliver 555oz-in super torque and 0.085sec high speed at 8.4V. Perfect for scake crawlers, 1/8 1/10 monster truck, 1/8 1/10 2WD and 4WD buggies, as well as 1/8 scale buggies and trucks. 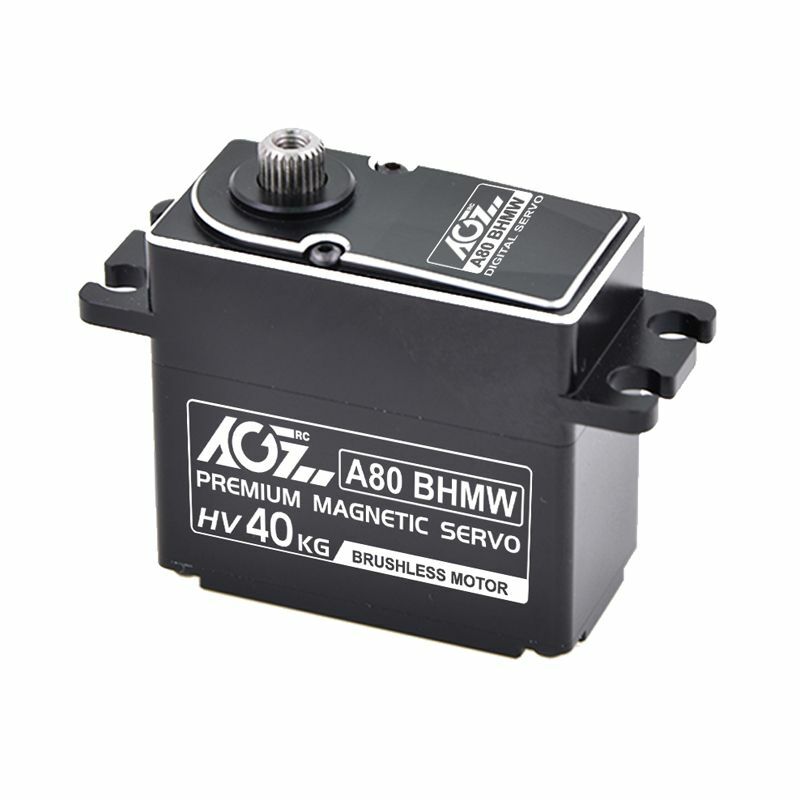 In addition, this A80BHMW is great choice for boats and other application which require high power, high voltage and waterproof servo. 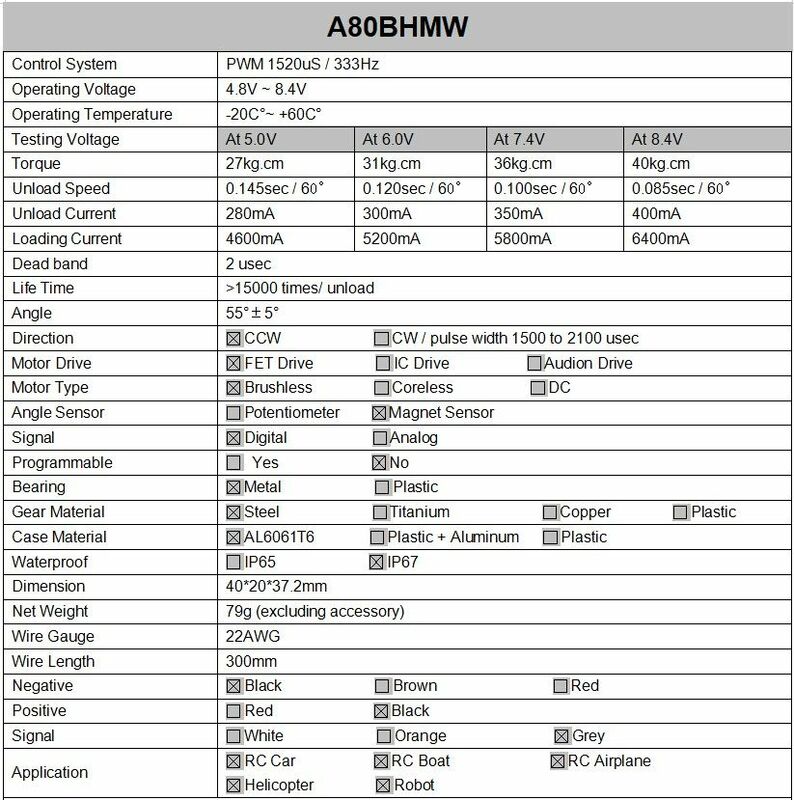 This A80BHMW is waterproof IP67 level up to 1 meter which allow driving in the rain, puddles, snow and mud. 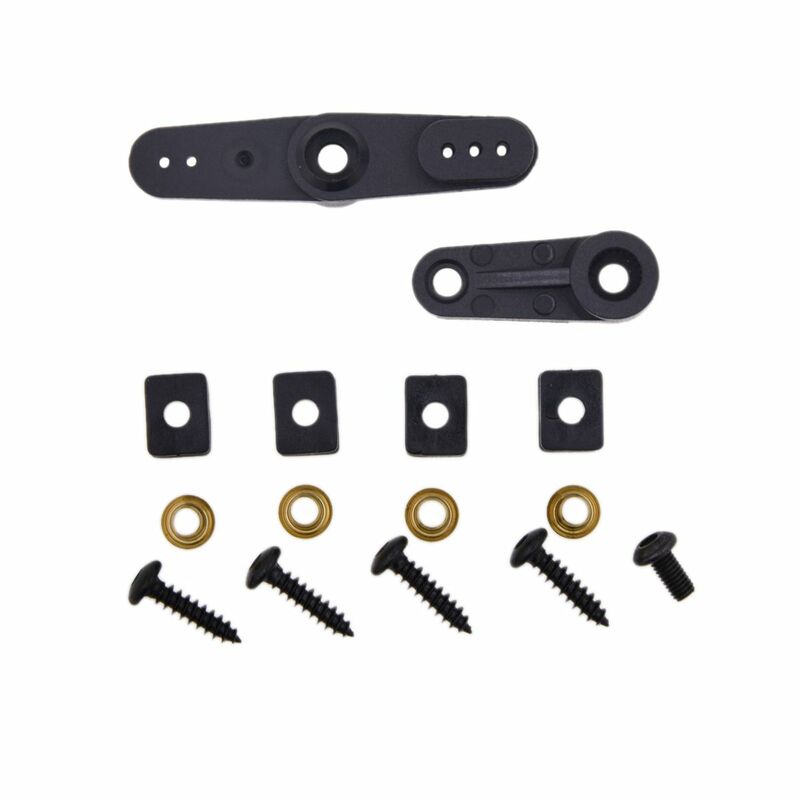 High reliable and durable patent gear design which can be longer service life. Full aluminun CNC case for fast heat disppation. High precision digital control circuitry. If you need some modification based on our default setting, pls contact us directly.